I came across an interesting article in The Age this week (Little learners in the rug-rat race) about how parents these days are “facing increasing pressure to begin their child’s education while still in nappies”. The accelerated early-learning approach and intense focus on a child’s academic achievement made me think of all the young people I see who are developing anxiety about school and academic performance. In particular, there are a growing number of children who require counselling in order to get through the dreaded NAPLAN ordeal! An accelerated early-learning approach can be problematic when taken to an extreme. This, of course, depends on the format of the teaching and the intensity and how effectively the teaching is balanced with playtime and other activities. Sure, some degree of structured learning from a young age can be beneficial. But it’s important to understand that young children need unstructured play and experiential learning to grow and develop to their full potential. “Graduating” from kindergarten, constantly quizzing children using flashcards and bombarding them with numbers and letters to be memorised can send a somewhat warped message about priorities. Yes, parents and educators should praise children when they learn something new but what if a child is not progressing as quickly as you would like? What if they have a learning difficulty? Does this mean they are not as worthy of your attention and praise? It is true that parents are always teaching their children, but it can be detrimental for a parent to place themselves in the role of a teacher on a constant basis. Your role should be to encourage, support and nurture. Kids may find it hard to develop a trusting relationship with you if you are always evaluating them and correcting their mistakes. You should aim for a collaborative teaching role, in which you both learn together, while respecting your child’s input and their way of solving problems. Many accelerated early-learning approaches tend to focus largely on the skills needed for maths and English and may not appreciate alternative concepts of intelligence. What about those children who are skilled at drawing, music or sport? Does this mean that their abilities are less valued? Creativity expert, Sir Ken Robinson, has some interesting and compelling thoughts on how modern-day schools are killing creativity in young people. Experiential learning enables children to pursue their own areas of interest and to work through problems as they arise in a real-life situations. They are not simply working out what 2 + 2 equals because the teacher says it’s important, they are working out how many toys they have, how many biscuits the dog eats, or how many pairs of shoes they need to pick up. A common complaint from both primary school and high school-age children is that they don’t see the point of some of the work they are being asked to. Experiential learning demonstrates the practical uses of maths, science and other learning areas. Experiential learning can also be important for letting kids experience the reality of ‘failure’ and how to overcome setbacks and challenges. They can feel pride when they eventually find a way to do something because they learned to do it themselves, not because someone told them the answer. Experiential learning is collaborative and enables children to work out their own unique strategy (with some support), rather than following a set formula to arrive at an answer. They will be more likely to think creatively in the future, rather than assuming that all problems have “right” and “wrong” answers and “right” and “wrong” ways of getting there. Play enables children to act out alternative scenarios and to find different ways to express social or emotional difficulties. They can learn assertiveness, social skills, leadership qualities and how to solve group-conflict through role-play and using the play space as a rehearsal for real-life situations. Learning is not just about academic pursuits but also about life skills. It is very important to realise that we can learn from children too. Sometimes they tell us something about themselves or the world that we might not have noticed because we are so busy telling them how things should be done. Some of the most interesting observations come from children because they are still figuring out how the world works and finding their own place within it. Charles Darwin devised his theory of evolution by going out into the field to study animals, insects and marine life. He first began to formulate his ideas when he would go for long nature walks in his university days. In fact, some of the knowledge he learned at university (in theology) actually hindered his ability to think creatively as he struggled to reconcile his religious views with his observations of the evidence in the natural world. And this delayed the publication of his monumental theory for many years. 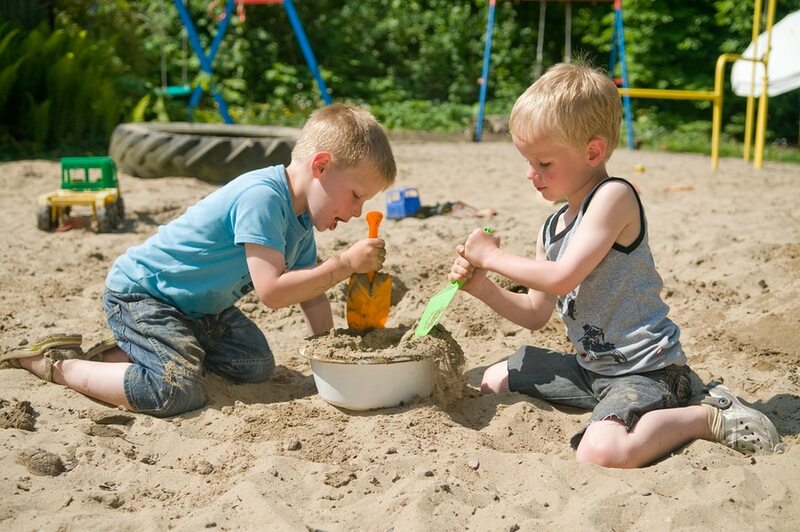 So the next time you see your child playing in the sandpit, sorting pebbles or pretending to feed a stuffed toy, you can rest assured that they are more than likely learning and developing exactly as they should be. Of course, if you have any lingering concerns or doubts about your child’s development and whether or not they are progressing at the age-expected level you are welcome to book an initial 30 minute consultation with an experienced child psychologist for some independent professional advice. Is Your Child’s Anxiety Making You Anxious? Why is Early Intervention for Learning Difficulties so Critical?